Headquartered in Carlisle. Serving neighbors all across South Central PA. Since 1968. Installation, repair, and maintenance for home, commercial, and industrial customers alike. Fabrication, precision cutting, welding, and millwright services. In our shop or at your site. Our roots as a service company date back to 1968. Though advances in technology continuously change the way we work, our commitment to superior service in our community remains the same. Tuckey Mechanical Services, Inc. – We design with you in mind. 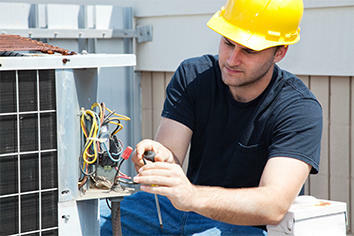 Our heating, ventilation, air conditioning, plumbing, and electrical systems meet your specific needs. When you work with us, you receive expertise in mechanical services. We listen to your concerns and take time to explain our working methods. Tuckey Restoration, Inc. – When disaster strikes your property, you feel overwhelmed. Fire, wind, water, mold, or storm damage destroy more than buildings, they also erode your sense of serenity. We restore both. Our emergency board up, clean up, dry out, restoration, and reconstruction services return your property to the place you knew before the catastrophe, so you can return to your life in peace. Our team’s expertise also extends to professional duct cleaning, historical preservation, and general remodeling services – we’re happy to help make your dreams a reality. Tuckey Metal Fabricators, Inc. – Trust your fabrication work to Tuckey. In the shop, our technicians, mechanics, welders, technologists, AutoCAD operators, and CNC high definition plasma cutting experts combine their professional skills to create fabrications meeting your unique needs. In the field, our metal mechanics and millwrights provide expert rigging, industrial maintenance, on-site welding, and millwrighting service at your location! You don’t have to look far to see the Tuckey Companies’ work. Central Pennsylvania feels the positive impact of our commitment to excellence from State College to York, and from Chambersburg to Lancaster. Close to home or states away, our focus remains: superior service. You can trust Tuckey to deliver exceptional services in your South Central PA home. Tuckey Mechanical Services delivers cutting-edge HVAC technology for your home, helps keep the lights (and more) on when the power goes out with emergency standby generators, provides energy-efficient water heaters, and offers 24/7 emergency service to get your HVAC, plumbing, and electrical systems back up-and-running no matter the time of day. Tuckey Restoration will be there in no time in the wake of a disaster to mitigate fire, water or wind damage to your home. Our team members carry water damage restoration and mold remediation certifications that give you confidence in a job properly done. And when it’s time to remodel or build an addition on your home, our experienced carpenters stand ready to serve! Homeowners and hobbyists will appreciate Tuckey Metal Fabricators’ expertise in custom metal fabrication. We’ll help turn your back-of-the-napkin drawing into reality. Our truly unique projects include custom kitchen hoods, spiral staircases, ornamental water fountains, and custom accessories for vintage cars, boats, and motorcycles. Have an idea? Give us a call! Whether you’re a general contractor looking for a qualified partner in specialty trades, an industrial plant manager seeking an industrial maintenance provider and parts fabricator, or a local business owner searching for a reliable building service provider, the Tuckey Companies stand ready to serve. Our comprehensive and complementary set of trades-related services equip us to be a truly turn-key partner for your business. Tuckey Mechanical Services offers HVAC, plumbing, and electrical design-build services as well as bid-spec, Tuckey Metal Fabricators can fabricate components in-house to be shipped across the country or send experienced field crews to provide on-site services in the Mid-Atlantic region, and Tuckey Restoration stands ready to respond at a moment’s notice after fire, wind, water, mold, or storm damage affects your business. 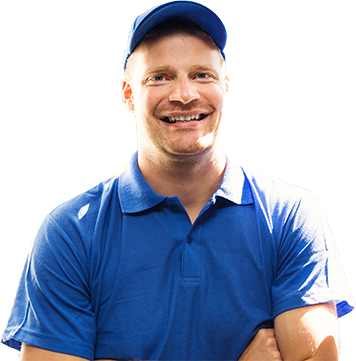 Answers to your everyday questions about home maintenance, mechanical systems, commercial services, and more! Our roots as a service company date back to 1968. Though advances in technology continuously change the way we work, our commitment to superior service in our community remains the same. Our goal is to serve as a true “one-call contractor” for our neighbors in South Central Pennsylvania, so that when you don’t know who to call about a specialty construction or metal manufacturing need, you can start by simply calling Tuckey. We’re proud to say that you don’t have to look far to see the Tuckey Companies’ work. Central Pennsylvania feels the positive impact of our commitment to excellence across Chambersburg, Carlisle, Harrisburg, York, Lancaster, and beyond. And we’re most proud of our team’s commitment to community service organizations in these very same towns. We live, work, and serve in South Central PA – and we wouldn’t have it any other way! At Tuckey, we’re always looking to add experienced, highly skilled technicians, tradespeople, and other professionals who bring values such as hard work, pride in craftsmanship, humility, and serving the needs of customers to the job on a daily basis. If that sounds like you, we encourage you to explore our list of current job openings. We’d love to have you on the Tuckey team!